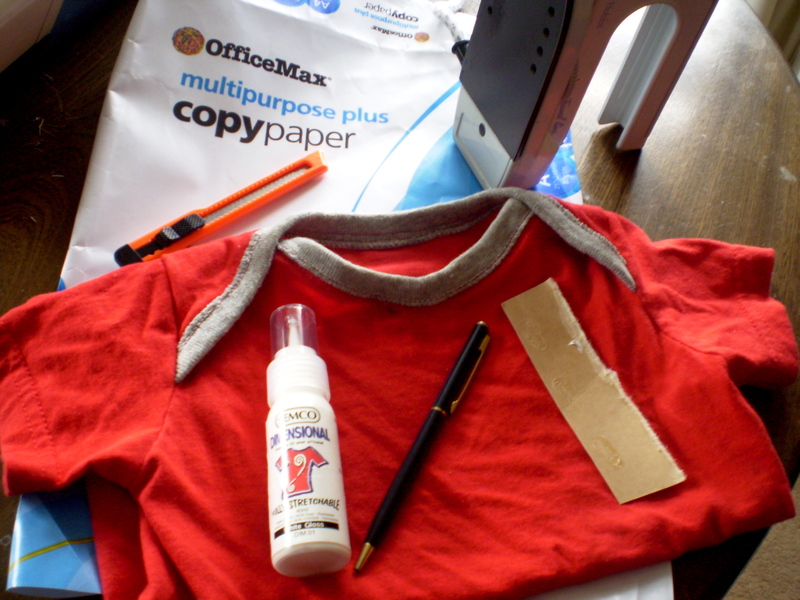 There are oodles of tutorials online about how to stencil fabric with freezer paper. They all look fabulous and give you an easy way to personalise tshirts, baby onesies, bags … the list is endless. Alas, there have been many frustrating hours spent hunting for freezer paper in New Zealand, only to find it both rare and ridiculously expensive. Would you believe that what sells for $4 in the US has sold for as much as $24 here?! That makes me feel ill. But, despair no more, my loyal Offsquare friends (I know you’ve all been kept awake each night wondering how you’ll ever do a freezer paper stencil without paying for airfares to the US first … or is that just me? ), I have the answer you’ve all been looking for. Plus, it’s thrifty AND upcycled! 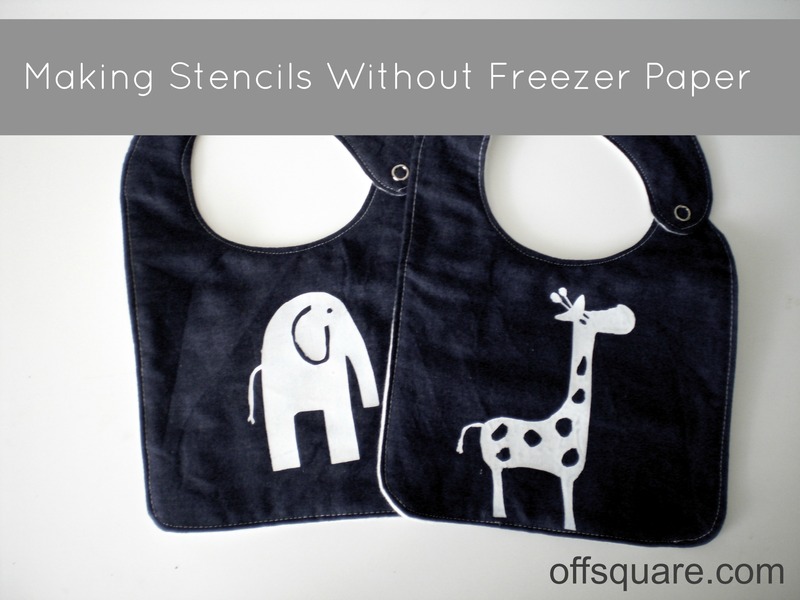 The wrapper from photocopy paper is a perfect alternative to freezer paper when stencilling. That’s right! 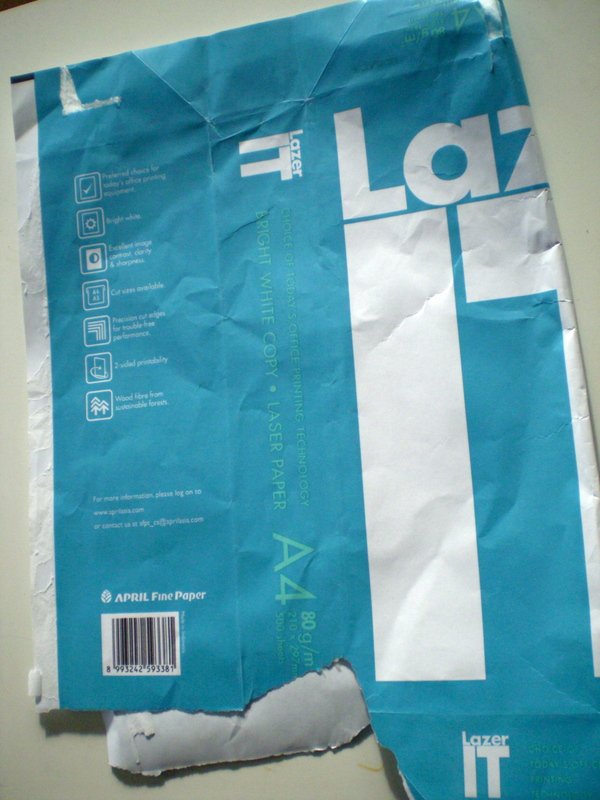 The moisture-proof wrapping that encases each ream of printing/photocopy paper. Any local office or printing store will be throwing away copious amounts each day, so just ask around. The advantage to doing this type of stencil vs non-iron on versions is this seals the stencil to the fabric and stops movement or the paint from bleeding. Tips: Stencils don’t allow the fine lines that screenprinting does, so try lettering or block images to begin with. This type of stencil can only be used once. Also, the paint I used gave a thick, glossy finish and was a little tricky to get an even finish (but it stretches with the knit fabric, which is pretty cool). Semco also have a textile medium you can add to their acrylic paints instead if you prefer a thinner product. Just apply your paints with a paint brush or sponge. Draw your design onto the white, non-glossy side of the moisture-proof paper. 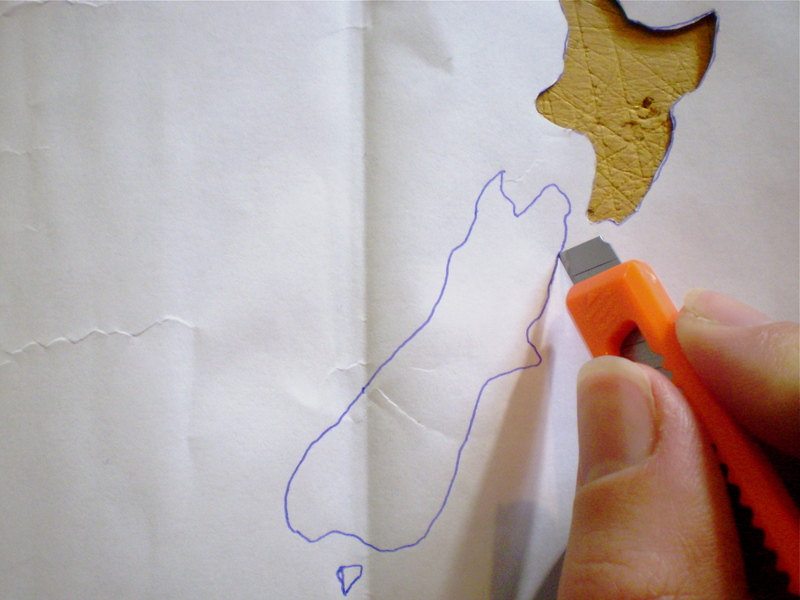 Cut out the area you want to paint using the craft knife. Place your stencil glossy side down onto the item for printing. 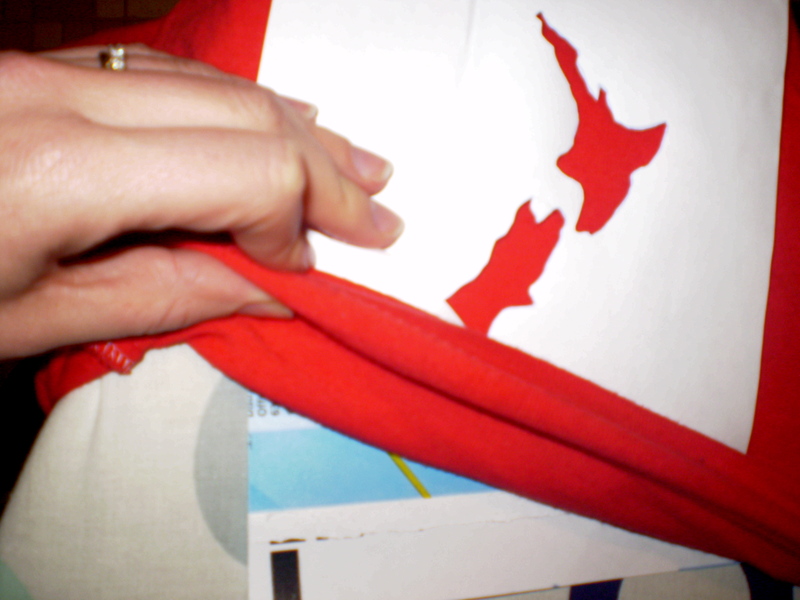 On the other side of your fabric, place another piece of the moisture-proof paper (so if you are printing a tshirt, place this on the inside of the shirt) glossy side up. This creates a fabric sandwich: paper, fabric, paper. 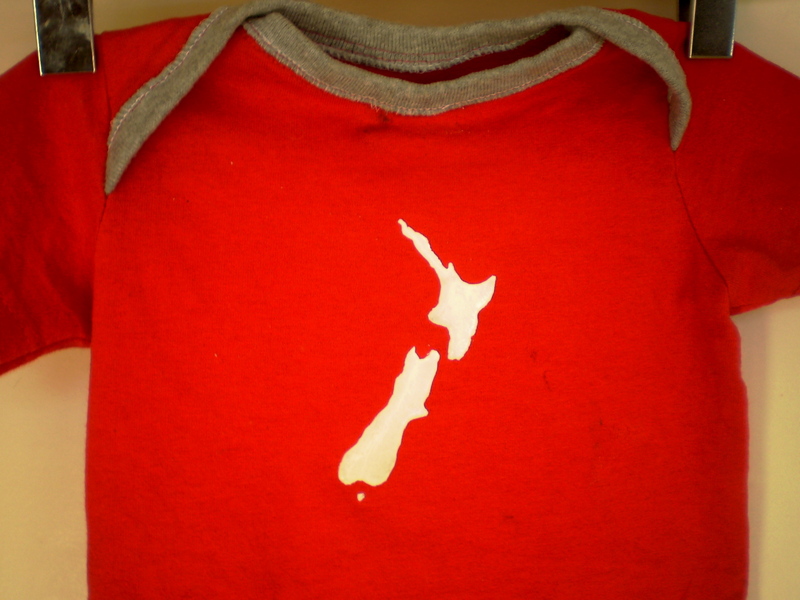 The bottom layer will stop the paint from bleeding, giving you a nice, crisp image and also prevent any paint from staining the back of the tshirt or the surface you are working on. 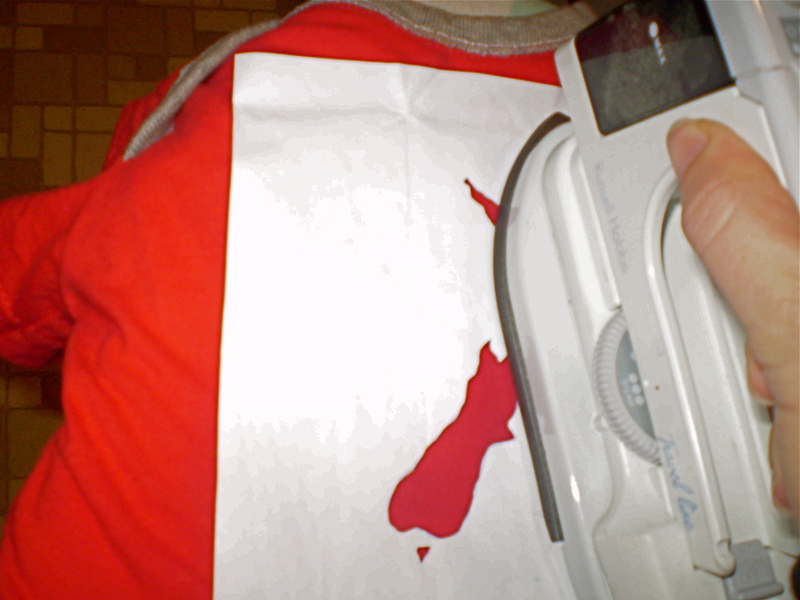 Using a hot iron (a smidge down from the hottest setting and don’t use steam! ), press the stencil until all edges are firmly fixed. Check that the bottom layer is fixed too and if not, gently turn the item over and press. Apply the paint to your stencil. 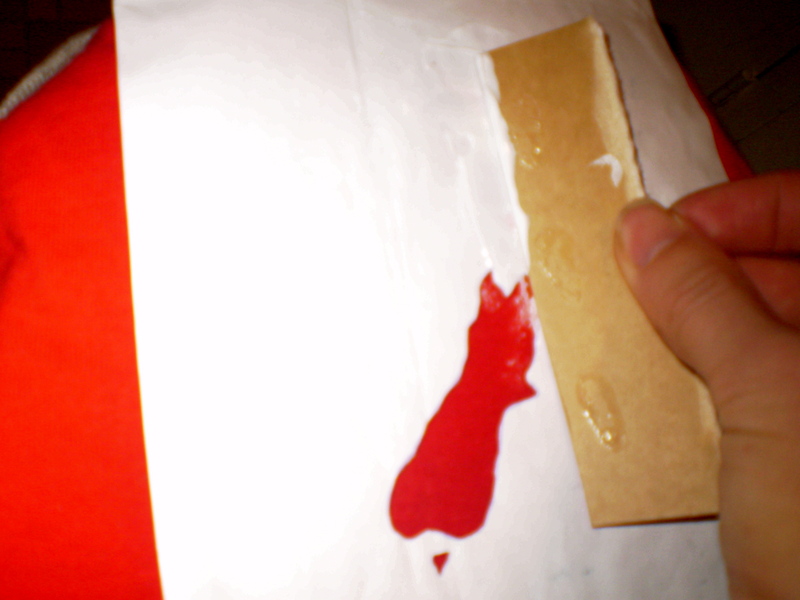 In order to get an even finish, use the strip of cardboard to smooth the paint over the stencil. Take your time here to get a finish you’re happy with. Leave it to set overnight. Carefully remove the stencil, holding the fabric down as you go to avoid cracking and seal the paint according to instructions on the bottle. 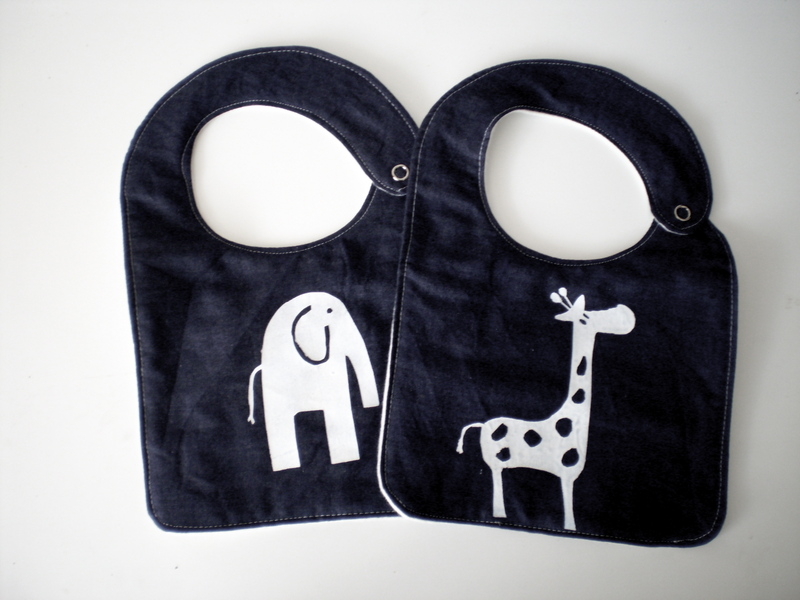 Great for t-shirts, baby bibs, tea towels … the list is endless! Best thing is, you don’t have to buy freezer paper, but can reuse something that is already easily accessible. Enjoy! Be careful with what kind of wrappers you use because I did this once and the writing from the wrapper was transferred to my t shirt when I ironed it on. Thanks Debbie! So sorry I didn’t reply sooner. Hope it worked well for you and your projects have been a huge success. There are also some great stencils online for printing out for when design ideas begin to dwindle. All the best! This is such a clever idea! I’m absolutely thrilled. Thank you so much for sharing! Thank you 🙂 Hope it helps you make some printing magic! 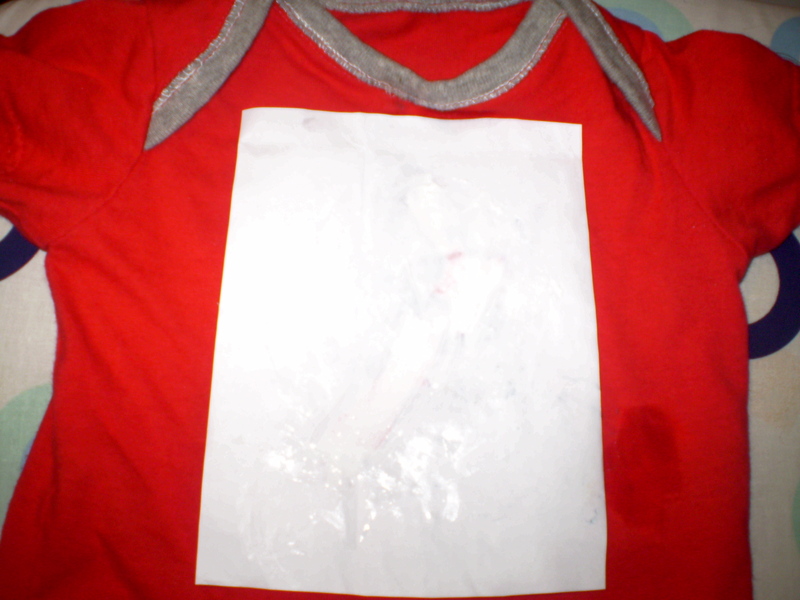 I started ironing it to the shirt and the plastic coating puckered up so it wrecked the stencil! bit disapointing. Been thinking a little more about the puckering … it could also happen if the iron was set on “steam” or if both sides of the paper were waxy rather than just one. The brands all differ, but I found the “OfficeMax” brand would wrinkle and try to stick to the iron. “Lazer IT” is fabulous (a local school saves the wrappers up for me). Hope this helps, but don’t give up! It’s great when it works! Wow, will have to give this a try. 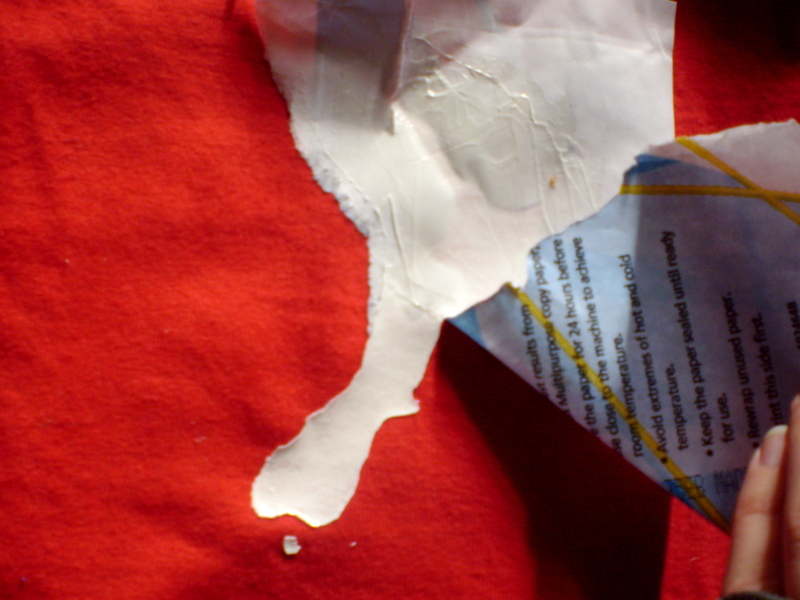 I have seen heaps of great stuff done with freezer paper, and had no way to try it. Now to scrounge some packets, hmmm who do I know? Amazing. I was shocked at the price of freezer paper in New Zealand. I am going to give this ago. Hopefully it works out. Great idea but the copier paper wrapper I used, didn’t stick. Maybe only some brands work? Could you use wax paper? Oh that’s so disappointing for you! Which brand did you use? It may help others avoid that brand too. I have great success with a teal coloured pack called “Lazer IT” (the office team at a local school save it for me), but found the Office Max brand useless for this purpose. I haven’t tried wax paper but would be interested to hear how it goes. Just make sure there isn’t wax on both sides of the paper because you don’t want it melting onto the iron. Thanks for your comment and I hope you haven’t been discouraged from trying again. I just had a thought…sugar (e.g. Chelsea and Pams) comes in plastic “waxed” paper bags…maybe you could use those too? Do you mean waxed baking paper? Ha Ha! I was standing in countdown looking at the baking/wax paper options, wondering what would most likely be ‘freezer’ paper and thought to consult Google – and was led to your blog. Yah – a free solution – I’m about to make some “5” T-shirts for our little guy who is not so little anymore. Nice to be in Nelson and be directed to a Nelson blog who I actually know! Thanks!! !